Note: Cores must be returned complete as supplied. Like for like. Note: If preferred to maintain originality – we can rebuild the original engine. all back to stock factory specifications with all those new parts as listed. Process takes one week here at our facility plus the travel time each way. We organize the logistics of transportation. 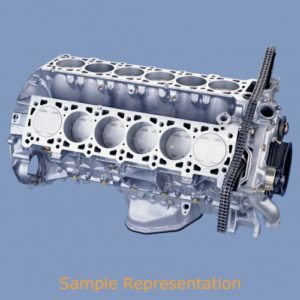 LONGBLOCK ASSEMBLIES DO NOT INCLUDE: MANIFOLDS, FUEL INJECTION, WATER PUMP, ENGINE MANAGEMENT, ELECTRICALS, STARTER, A/C, P/S, CLUTCH ASSEMBLY OR ANY OTHER COMPONENTS NOT DIRECTLY CONTAINED WITHIN THE ENGINE. At Metric Motors, Inc. we know that there are no shortcuts to achieving excellence in the remanufacturing of an engine built to the standards of Mercedes-Benz. We combine Mercedes OEM parts with our stringent factory specifications to satisfy the expectations of the Mercedes-Benz enthusiast.Each engine is meticulously machined and assembled, devoting attention to every detail. With over 32 years of experience, we have continually increased our knowledge, our efficiency and our performance. We go beyond the basics when we build our engines to assure you’re getting the best engines available.